Open Whisper Systems’ popular encrypted communications app, Signal, received an update today that adds video calling into de mix alongside other improvements to the current voice calling feature. The video calling feature is currently available in beta form to a limited number of users, those that have it can manually activate it in the “advanced” menu under Signal’s settings. In addition to video calling, the latest update better integrates with iOS and Android by allowing users to answer calls from a locked screen, and it also promises better voice call quality. As it’s often the case, convenience comes at the cost of complete privacy. While the actual calls are encrypted, in order for Signal to be completely integrated into iOS’ calling functionality, it needs to use the CallKit framework. But that also means your calls will appear in the iPhone’s call log and, for iCloud users, metadata for who you called and for how long is shared with Apple’s server. If complete privacy is more important to you then you can disable CallKit integration on the same “Advanced” menu in the app’s settings — and lose the ability to answer calls from a locked screen. Moreover, CallKit integration will only be used if it’s enabled on both ends of the call, meaning if you disable it on your end you won’t need to worry that call metadata is leaked by your contact’s phone. Open Whisper Systems says it is still figuring out whether Signal will integrate with CallKit by default on iOS or if it will be opt in once the feature moves out of beta. 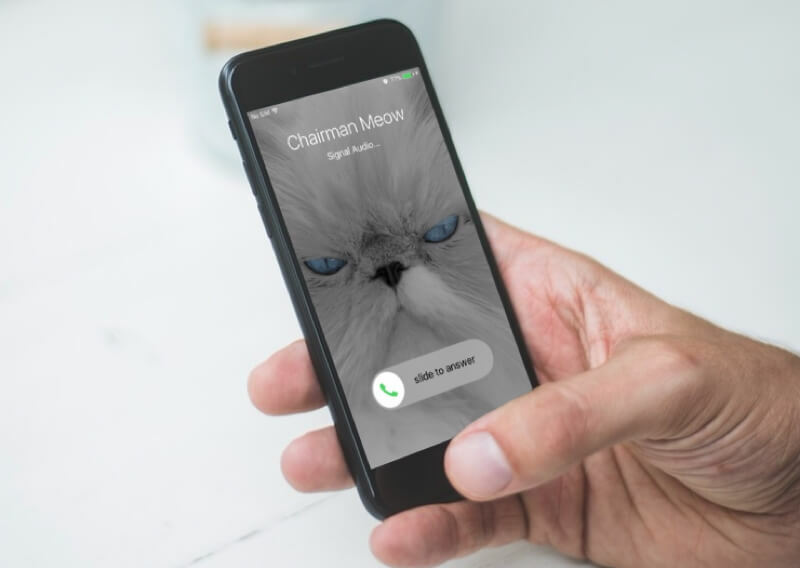 The update also includes a completely redesigned VoIP protocol and changes the way it authenticates encrypted calls to make the process more like making a normal call. Instead of displaying two unique words on the callers’ screens that they can read to each other to confirm the call is secure, the update version will now simply warn users if their contact’s encryption key was suspiciously changed.